If Dominic Thiem required a clear reminder that anything is possible before his incredible three-set upset against Roger Federer at the BNP Paribas Open in the men’s final. Bianca Andreescu certainly provided that pep talk. She is only 18 years of age. With her remarkable 6-4, 3-6, 6-4 victory over Angelique Kerber, a three-time Grand Slam champion. 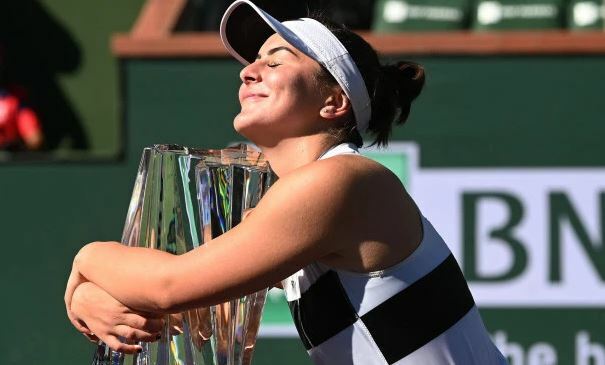 Bianca Andreescu managed to become the first wild card to claim the Indian Wells women’s title. She is now regarded as the youngest tournament winner since Serena Williams back in 1999. Bianca is considered the fourth unseeded tennis player to raise the prestigious trophy, joining Naomi Osaka, Kim Clijsters, and Serena Williams. Towards the end of the third set, Bianca Andreescu was visibly exhausted, played injured, and had cramps in her legs against one of the toughest, fittest women in the world of tennis. However, for one day, the 18 years old Canadian managed to outsmart one of the greatest fighters in the sport. From Sunday’s first ball, Andreescu didn’t show any signs of the nerves that usually accompany players during their first WTA final. Mainly when she played against a tennis pro. Who was there to contest for her 29th final and was ranked number 8 in the world. On the other hand, Andreescu already managed to take down 5 Top 20 players in 2019, three in this tennis tournament alone, and accumulated more match wins than any other female tennis player. Even though he dropped the first set against Federer, who seemed every bit the champion. Thiem managed to rally to take the second set and during the 11th game of the last set. This prevented Federer from scoring on a back-to-back drop shot attempts before breaking him with a brilliant crosscourt forehand. The 25-year-old from Austria then managed to close the match on his serve. This allowed him to claim his first Masters 1000 title along with the most significant tournament of his career with an astonishing 3-6, 6-3, 7-5 win. Thiem was instantly grabbed in the head, he dropped to the ground, and his legs/arms were splayed out. This was similar to how Andreescu did when she won the most significant single title on the history of Canadian tennis.